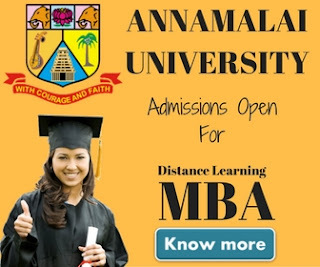 In our last post we'd write about Osmania University Distance Education Courses & Admission procedure. In continuation of the same our today's post is about Osmania University Distance Education Fee Structure. As we've mentioned in our last post that Osmania University offers various PG, UG, Diploma & Certification courses under distance learning mode. Some of the most popular courses offered by OU are MBA, MCA & other UG courses. The fee structure of various courses offered by Osmania University is as follows. Although we've taken a great care in given you a hint about the fee structure of various courses offered by Osmania University but we still strongly recommend you to verify the fee structure from university's official website. There is a fee concession of Rs.2000/- in each semester for PGDCA, to the Post Graduate students who are currently on rolls of any department of Osmania University (Campus and Constituent Colleges) including P.G.R.R. 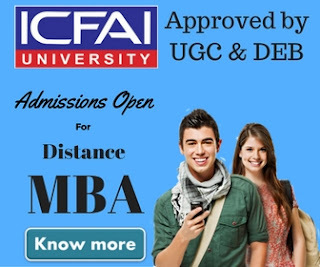 Centre for Distance Education. As we have already mentioned that admissions are on first come first basis for most of the courses, so if you're interested in taking admission into these courses, you should act fast as the admission last date is round the corner. 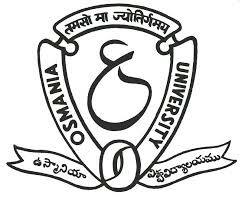 To confirm the fee concession on other couses kindly contact Osmania University Distance Education Center.